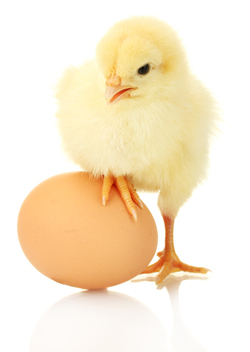 If you're a vegan, chances are you've had to substitute an egg a time or two. And if you're looking to avoid eggs for other reasons, that's okay too! It's not as hard to avoid eating eggs as one might think. Egg substitutions can and do vary, however, depending on what you are making. For example; an egg substitute for a baking recipe might not work so well for your Country Scramble, and vise-versa. So let's get down to it. Your recipe calls for an egg. What to do, what to do? If you're a vegan or thinking of going vegan, and you've shared it with ANYONE on the planet, you've most likely been asked the question "Where do you get your protein?" People are often taught to believe the only way to get protein in their diet is by eating animals and their byproducts, but that just isn't true. If you're eating sensibly, you will consume a good amount of protein. 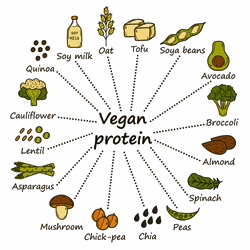 Read more about Where do vegans get their protein? When you trace the word "vegetable" to its roots, you find "active," "lively," "vigorous," and "strong." Vegetables are in a class of their own, being one of the most nutrient-dense foods on the planet. It's not only healthy and smart to make them the star of your dish; it's delicious as well. Read on to get information on everything from artichokes to winter squash. Plus, learn how to buy, store, and prepare your vegetables, as well as the nutritional benefits of each. 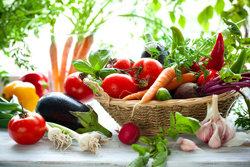 Fruits and Vegetables: What and When? Fruits and vegetables are available at different times depending on where you live, but the following links can give you an idea of the produce that may be available from your farmer's market, the local grocer, or your CSA (Community Supported Agriculture organization). 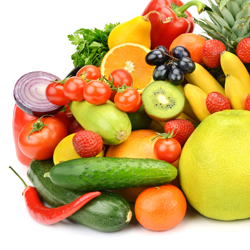 Read more about Fruits and Vegetables: What and When? Over-ripe bananas are perfect for banana bread. But they're also ideal for freezing to use in smoothies, shakes, and even ice cream. Preparing them for the freezer is easy; remove the peel, cut the banana into 2-inch pieces, then place them in a quart-size freezer bag. Remove as much air as possible before sealing it to avoid freezer burn, then pop them into the freezer. 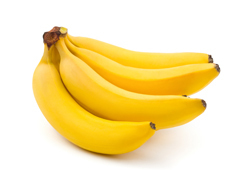 Use the frozen banana to flavor a smoothie, or make a delicious banana milkshake. You can even make banana ice cream using nothing but the frozen banana and your food processor! Try it. It's amazing! 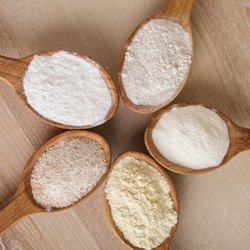 If a recipe calls for other ingredients that contain gluten, we leave it up to you to switch them out with a gluten-free product of your choice. Cup4Cup is a gluten-free flour created by Chef Thomas Keller and can be used in the same proportion as an all-purpose flour in any recipe, cup for cup, hence the name; Cup4Cup. 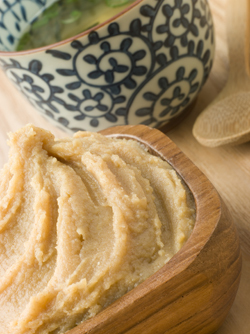 Miso Paste is one of those superfoods that offer some of the same health benefits as pickles and kimchi. Made from fermented soybeans; its flavor livens up dressings, sauces, stews, and soups, including the traditional Japanese Miso Soup. It's high in protein, vitamins, and minerals. There are different types of miso, and various colors such as white, yellow, and red. Miso can also be made using brown rice and barley, and the flavors can be amazing. The best way to find the one you like is to experiment.